A corrective action form is used by a business to document actions taken to correct a situation or behavior that was deemed undesirable for their work environment. As a template, a corrective action form can be used as many times as necessary. For this document to be effective, it should be detailed both in the situation that caused the need for the form as well as the solution(s) that will be implemented. What is a corrective action template? Corrective action is used by companies and organizations to prevent and deal with undesirable situations and behaviors in the workplace. Corrective action is used to identify undesirable issues and untoward events and address them in an appropriate manner. 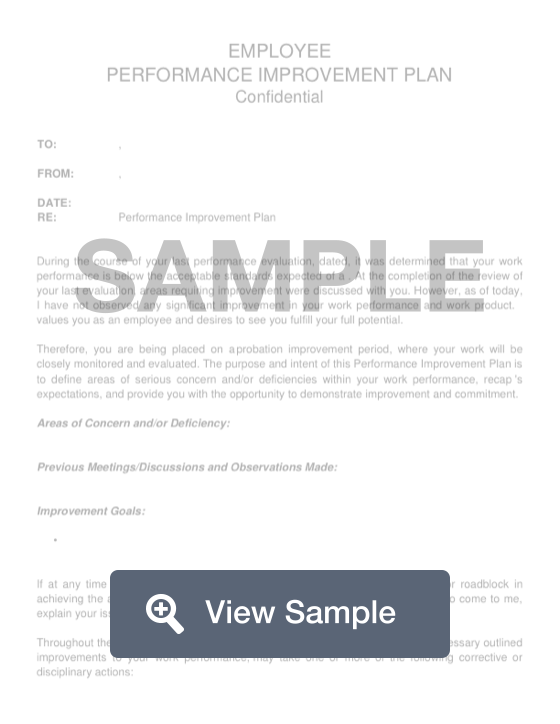 A corrective action template will help you create a professional document that provides guidance for this process. There are many different types of corrective action, including training, product redesigns, and other improvements. Corrective action can be implemented in a variety of different ways. If it is a company wide change, meetings and conferences may be used. For a matter involving an individual employee, a one-on-one meeting should be used to correct the problem. If corrective action doesn’t work, other steps may need to be taken. Written warnings may need to be given to employees, and sometimes suspensions are used until the issue is resolved through further training or education. A corrective and preventive action plan (CAPA) will identify the source of a problem and take corrective measures to avoid recurrences. When a problem has been solved, it will be added to the corrective action plan. A corrective and preventive action plan clarifies information about standards, protocols, procedures, and ongoing compliance. A corrective action report uses action items to solve existing problems within an organization. With corrective action, you fix existing problems or non-compliances. Preventive action is proactive steps to prevent future potential problems. Corrective and preventive action plans should be written by the organization or individual that they are for. These plans should be written on institutional letterhead, reviewed by any organizational review boards, and signed. These documents should be kept on record for future use. When something is corrective, it is an immediate response to a problem. It could be viewed as putting out a fire. Corrective action involves a more thoughtful response to a problem or root cause analysis. For example, if you find out that the fire was caused by smoking near a flammable item, you could remove that flammable item from the room or prohibit smoking in that room. Corrective action involves investigating the underlying cause, creating a remediation plan, and implementing that plan. Create a free Corrective Action in minutes with our professional document builder. A cautionary note: if a corrective action plan is not implemented correctly, it can become an arduous and time-consuming process. Corrective action may also mistakenly focus on the symptoms of a problem rather than identifying the underlying causes. You should be sure that your team understands the role that corrective action plays within your organization. HR - After an HR manager has attempted counseling and coaching, a corrective action form can be used to attempt to modify employee behavior. This action may be perceived as disciplinary or as part of continual employee improvement efforts. Healthcare - In the healthcare space, a government agency may cause the implementation of corrective actions. An effective corrective action plan can prevent audits, sanctions, and legal action. The Centers for Medicare and Medicaid Services (CMS) specify corrective action as the proper way to handle payment errors or Children’s Health Insurance Program (CHIP) errors. Medical Products Manufacturing - CAPA is used to remove and avoid product defects. EPA - The Environmental Protection Agency and the Resource Conservation and Recovery Act (RCRA) specify processes for removing toxic waste. To create an effective action plan, you need to define the problem, detail the situation, and explain what should be happening to remedy the situation. Use all of your resources to brainstorm when you are in the process of creating a plan. You may want to rely on your team and on outside neutral parties for ideas and feedback. As you are writing your plan, make sure to identify specific actions items that are concrete, measurable, and attainable. Select the person who is responsible for each step in the process. Identify the resources that are available to achieve each action step. Set a realistic deadline for completion of the plan. Once the plan is complete, you should make sure to communicate it to the appropriate parties. As your plan is implemented, constantly monitor its progress as parties complete it, step by step in real time. Follow up with your stakeholders and take note of their feedback. Use that data to update your action plan is needed. If you are creating an action plan from scratch, it may be helpful to look at a sample corrective action plan template. You can also download a sample corrective action plan that will help you determine the important information that must be included. 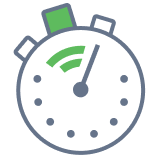 As you are creating your action plan, consider including a timeline that lists a start date, due date, and completion date for each item. You may also want to include information about the priority level, responsible party, notes about the completion status of each item.